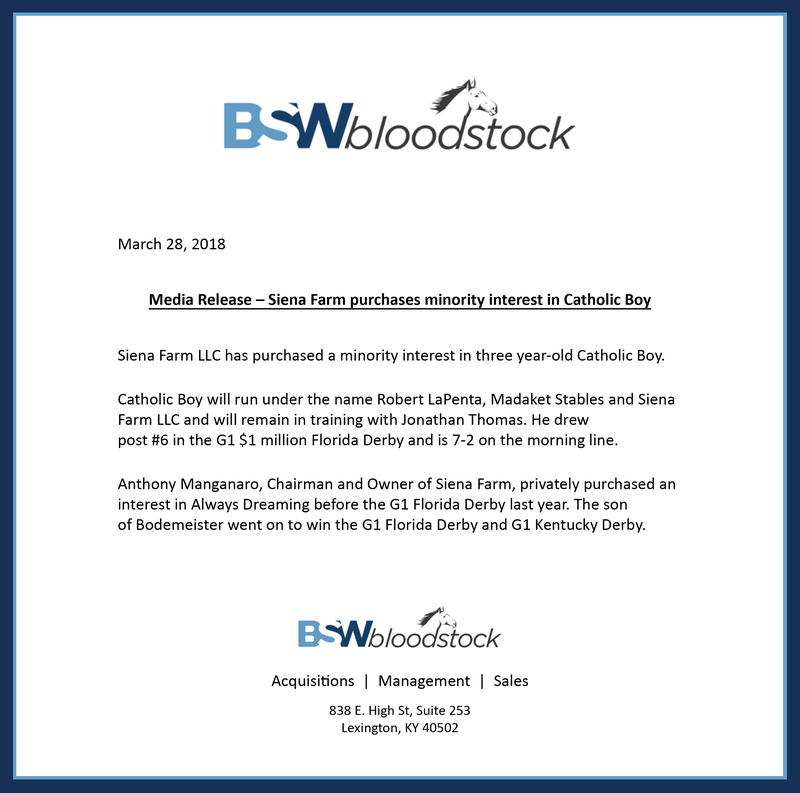 Siena Farm LLC has purchased a minority interest in three year-old Catholic Boy. 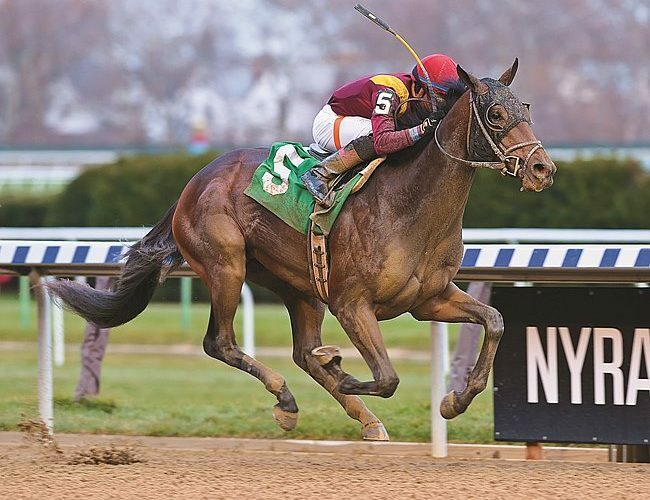 Catholic Boy will run under the name Robert LaPenta, Madaket Stables and Siena Farm LLC and will remain in training with Jonathan Thomas. He drew post #6 in the G1 $1 million Florida Derby and is 7-2 on the morning line. Anthony Manganaro, Chairman and Owner of Siena Farm, privately purchased an interest in Always Dreaming before the G1 Florida Derby last year. The son of Bodemeister went on to win the G1 Florida Derby and G1 Kentucky Derby.